lessons throughout Bristol, Bath, The Forest of Dean and Weston Super Mare. 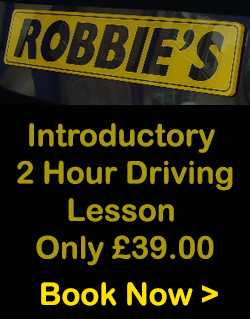 Robbie’s Driving School is a family business dedicated to safe driving and customer satisfaction. We have been operating nearly twenty years. No matter what your age or experience, you can be sure of patient, expert tuition. 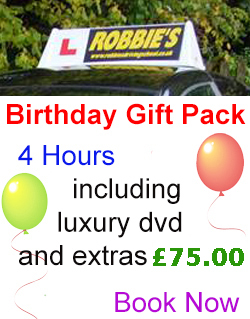 We tailor your driving lessons to suit you personally which means you avoid stress by learning at your own speed. We welcome complete novices/nervous drivers, whatever your current driving ability may be, we can devise a plan to prepare you for your test. 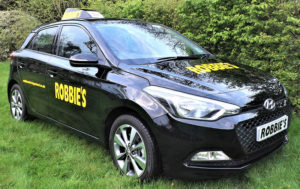 We have a great team at Robbie’s and this means we usually have a choice of instructors to meet your personal requirements. Our current pass rate is well in excess of the national average. 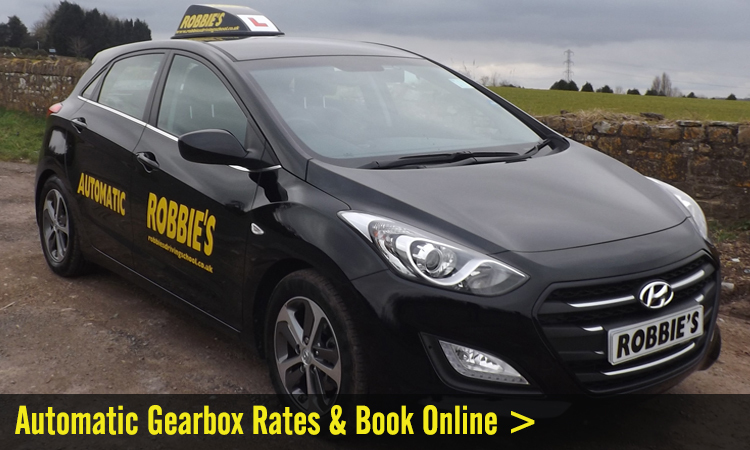 We will collect you from and return you to your home or work place for your lesson (provided you are in the area covered by Robbie’s). 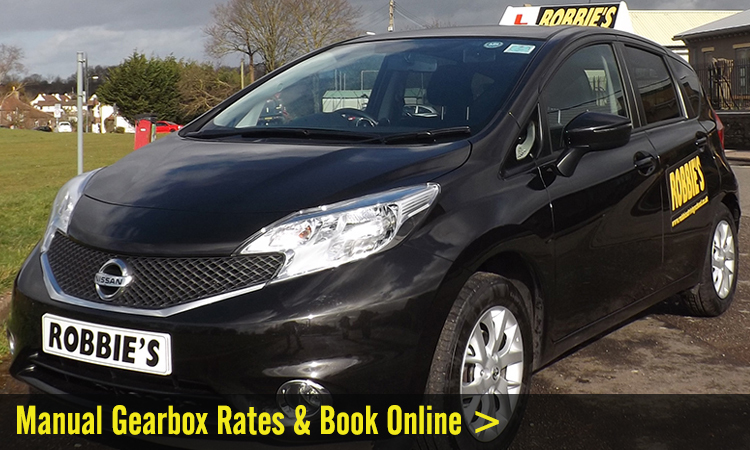 We always provide a modern clean air-conditioned car, with dual controls for your safety. Every effort is made to ensure you always have that same vehicle through all of your lessons right to the test. 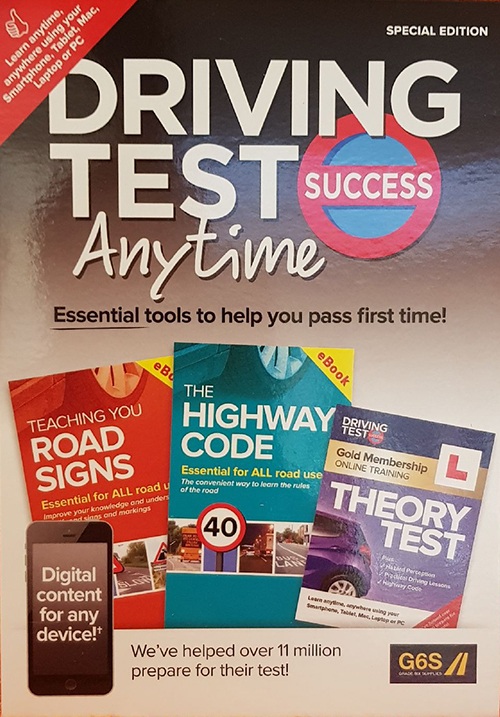 When you are ready for your driving test we will take you to the Test Centre and wait for you while you take the test in your usual school car. Using a familiar vehicle will give you more confidence and increase your chance of success. 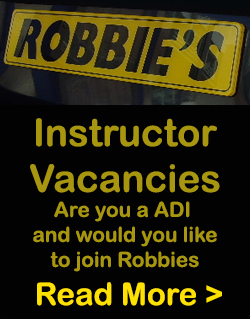 Robbie’s also has vacancies for new driving instructors. If you are looking for a new career why not……. Train with us?